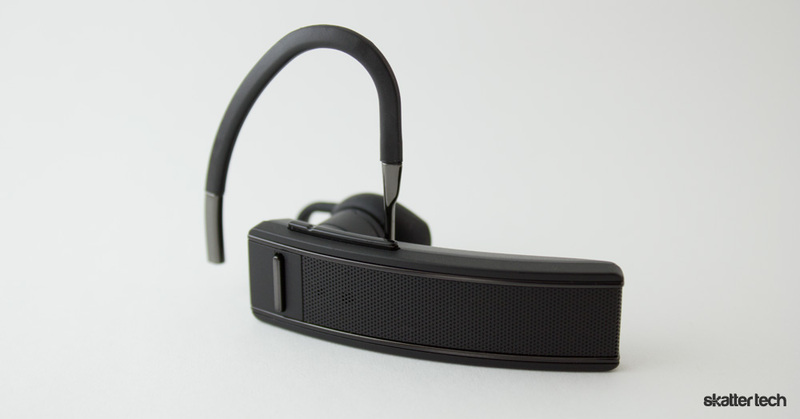 Looking for a new Bluetooth headset? You are in the right place. Fiddling with your phone while driving is definitely a bad habit, not to mention illegal in many states. BlueAnt is back with the Q2 headset, a follow-up to the flagship Q1 headset we reviewed last year. The new model boasts a sharp professional look, multi-pairing, streaming music, voice controls, a compatible Android app, and more. There was a time when paring a Bluetooth headset meant having to read through a tiny booklet with nearly unreadable fonts. This process is fortunately a lot easier due to technical advancements and consumer-friendly engineering decisions. When you turn on the Q2 for the first time, it begins speaking to you immediately. The voice-guided instructions walks users through the pairing process. While some smart phones pair without keying in a number, the headset even reads out the commonly used 0000 pin code. I paired it with the Droid X2 and the Nexus S 4G without any hassle. The BlueAnt Q2 automatically extracts up to 2,000 of your contacts from you phonebook shortly after pairing to announce their names during incoming calls. The multi-point technology also makes it possible to simultaneously remain paired with two Bluetooth devices at once. I had it connect to my Samsung Galaxy Tab 10.1 for calls over Google Talk and to a Kyocera Echo for regular phone calls. 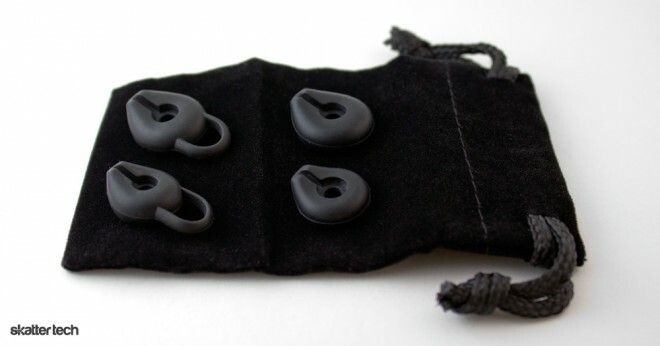 I was glad to find that BlueAnt provides a total of four differently sized silicone ear buds in the packaging along with an ear hook and a carrying case. The Q2 can also flip over for use with either the left or right ear. While the ambidextrous design may seem like a no-brainer, competitors such as Jabra still make mistakes with headsets such as the Stone2 which only fits on the right ear. The Q2 stayed put throughout the day and did not fall out even during quick movements, but your mileage may vary. In my case, a combination of the ear hook and the included ear bud with a protruding loop for additional resistance was a perfect fit. BlueAnt definitely made a good call when they chose to go with an entirely black body and a matte finish for the Q2. The buttons and two parallel lines have a brighter glossy gun-metal finish for contrast. It is a sharp look for business users and for those who do not want something as extravagant or flashy as the Jawbone Icon. An LED indicator makes a subtle appearance inside the grille and users can turn the light off entirely through the voice command settings. As for those buttons, a volume rocker is on top and a multi-function key is on the front face. There is also a dedicated power switch besides the microUSB port on the rear end. As with any Bluetooth headset, I tested the audio quality in several areas including a quiet room, in a moving vehicle, and a noisy venue. As stated in the quote above, BlueAnt boasts noise cancellation technology. The Q2 definitely does suppress some external sounds, but it has trouble with anything too loud. The person on the other end could hear me clearly when in an office setting or even a car, but a loud restaurant is definitely a challenge. I would have to say that even Motorola’s CrystalTalk technology on the Command One headset is a bit better. Nothing still beats the latest version Jawbone’s NoiseAssassin in my opinion. As for signal strength, the Bluetooth radio inside had a range of about 25 feet and a wall before the audio became choppy. If you have an unobstructed light of sight, I am sure most smart phones can maintain a steady connection from even further away. Tapping the multi-function key prompts users to speak a command. Speaking “what can I say?” makes the Q2 read out all the available commands. Just a few options include call back, check battery, and redial. 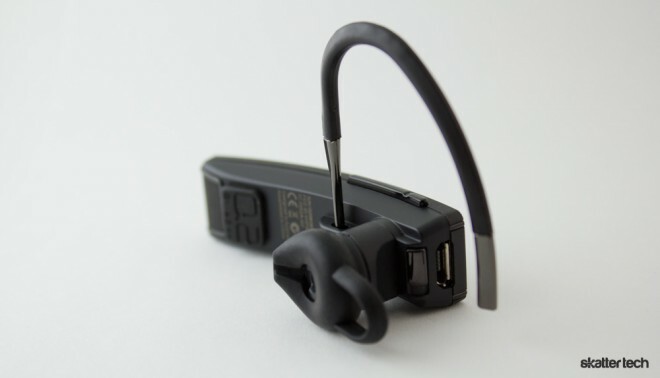 The headset supports the A2DP stereo audio Bluetooth profile making it possible to listen to music or even hear the turn-by-turn directions from you GPS app. The Q2 packs a truly appreciated feature taking the notion of hands-free even further. When you receive an incoming call, the headset reads out the person’s name or number. Rather than having to reach for your phone or the multifunction button on the headset, you can simply say “answer” or “ignore” to accept or deny, respectively. There is also integration for Bing 411 with voice commands to retrieve movie times, top news, sports scores, stock quotes, traffic alerts, and weather conditions too. BlueAnt also advertises an Android app, but it would unfortunately not install HTC, Kyocera, Motorola, or Samsung devices. When it comes to battery life, I managed to get over 3 hours of talk time including at least a day and a half on standby. To be exact, the specifications claim 4 hours of talk time and 100 hours of standby. Charging the headset is also fairly easy with the included micro USB cable which can plug into a computer or the provided AC wall adapter. When it comes to picking a headset, the BlueAnt Q2 is great option. It has a sharp, but subtle design for business and casual use. Getting it up and running is a cinch even for the technologically inept. The inclusion of a variety of ear buds increases the chances of a secure fit, which is quite important. Battery life is also pretty respectable. The main downside is probably the somewhat underwhelming noise isolation technology. BlueAnt offers the Q2 for a suggested retail price of $99, but discount hunters can find it for around $75 through third-party retailers. Buyers are definitely paying a premium and for the most part the BlueAnt Q2 will not disappoint.